The Silver Bowl - Medium Size is the perfect bowl to use as a shaving soap dish! 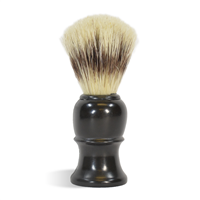 Pair this stainless steel bowl with a shaving soap and a shaving brush for the ultimate shaving gift set! 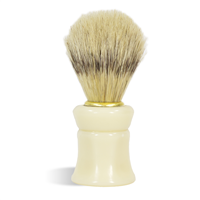 COMMENTS: I ordered a couple of these for my shaving bar customers. Great quality, nice large bowl at a great price! Very reasonable compared to other sites. "Hi, Would this be safe to make a candle in? Thank you!" Staff Answer This is something you would need to test. We are not sure how this would hold up to the high heat of candle wax. "Can you use the MP shave soap? Can you pour it directly into the bowl?" Staff Answer You can pour mp soap directly into the bowl. Great idea!! "Could I pour my CP shaving soap directly into this bowl? Thank you!" Staff Answer We would not recommend that. 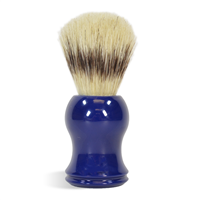 You can put your cured bar of CP soap into this bowl for use with a shaving brush. 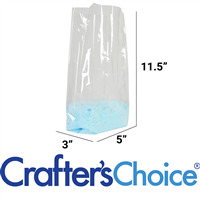 Staff Answer We have added this information to the product description. Measurements are 4.75" opening and 2.375" high. "How many ounces of soap can this bowl hold? Is it rust-resistance?" Staff Answer This bowl holds approximately 13 fluid ounces and it is made of stainless steel, which will not rust.